8 years of tracking storms on iOS! Hurricane Tracker launched in Aug 2009! 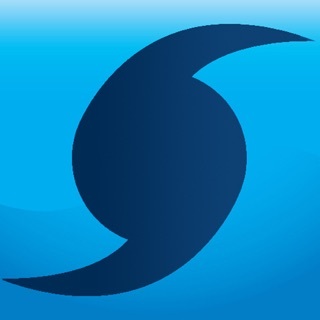 Reviewed by CNN as the best Hurricane Tracking app available for iPhone GOOGLE: "cnn top hurricane app" to read the article! 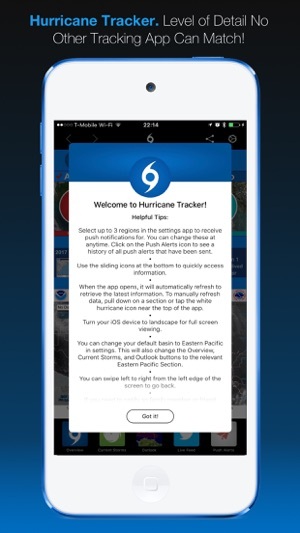 There is no other Hurricane tracking app out there that can match the amount of information you get-we guarantee it. Get the information you need to make informed decisions. Review our app store ratings for all versions over our 8 years. 4.5 star average! We charge for our app because it’s not just an automated product, our team is constantly creating graphics & writing detailed discussions to keep you informed. This is our full time job - keeping you ahead of the storms. Hurricane Tracker covers The Gulf of Mexico, Caribbean, Atlantic Ocean & Eastern Pacific. Our app also covers any storms that may affect Hawaii. We do not cover storms near Australia and the Western Pacific. 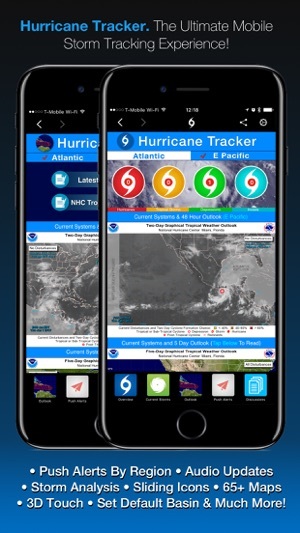 "Hurricane Tracker for iPad" is also available as a stand alone app with a separate fee. *Houston Press: "Finally, there is Hurricane Tracker. This app may have the best interface of the bunch, with a sliding set of navigation buttons at the bottom of the screen. This one, unlike either of the others, has audio and video updates". *Email from Customer Scott DeLacy: "With the new maps under Outlook, you have SURPASSED everyone else out there...Hurricane Tracker is now British Virgin Islands Airways' primary tropical data source, No one comes close". *Valued Customer Ray 007: "As good a review as you can give a service!" *Valued Customer Dale Gattis: "I've been using this and Hurricane for the last two years and I have really come to rely on this app exclusively. Excellent!" *Hurricane Tracker is a data intensive application. A WiFi or strong cellular signal is recommended for the best experience. Love the Hurricane Tracker App and used it a great deal during the recent visit of Hurricane Irma. Hurricane Tracker has a wealth of information that will delight the weather enthusiast and anyone who wants all the necessary information to monitor one of nature's fiercest beasts. 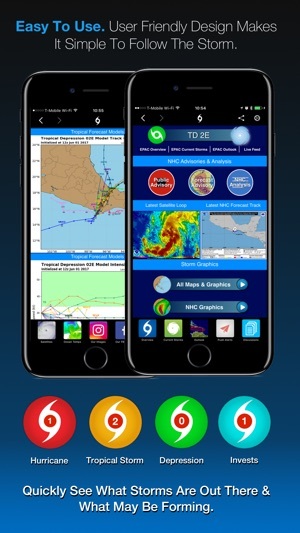 I have sampled many hurricane tracker apps and it is clearly the best I have found. Because of that, I was surprised to find that the app does not provide a high-resolution map (for example, Google Maps) with the most probable storm track superimposed over it. Almost all the maps are provided by the NHC. They are quite low-resolution. I understand that hurricane tracks are part science (a big part) and part magic. So, for example, a high-resolution map, with a thin, high-resolution line predicting that Hurricane Irma will go just to the east of Key West would have to be taken with a grain of salt. But, I still would REALLY like to have such a map included in Hurricane Tracker! Right now, any attempt to zoom in on any map to gather a more detailed view just produces pixelated ambiguity. It's frustrating and because of that I have to use other hurricane tracker apps in addition to this product. 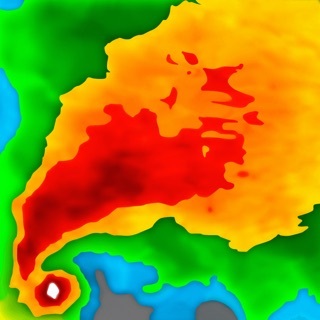 I applaud Hurricane Tracker in many ways and have bought the iPhone and iPad versions. Hopefully, we'll get a high-resolution map feature in a future update. I live on the Alabama Gulf Coast, and as you would expect, factual, timely weather information is critical. I trust this Application enough that I base my “Storm Related” decisions largely upon the information I find here. 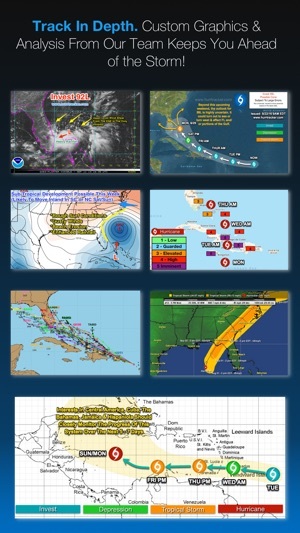 Hurricane Tracker is a useful tool for causal, amateur & profession observers. You’ll find more data than you may need, but the design of the App allows you to access the level of information you desire quickly. The only change I might suggest: Maps allow you to focus in on your view, but sometimes being able to expand out the view would, for example, help tie the “Track” you see to the larger picture. This is particularly important when the event is located far out in the Atlantic. A little effort on my part can compensate for this, so this proposed change is not vital for the User. The app has a lot of good data however I think it could use some improvements. Here are some suggestions from a life long Florida resident. 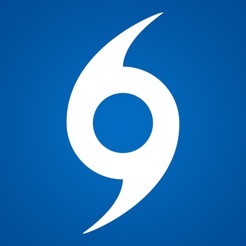 Add the category of the storm to the hurricane icon. For example: where you list the storms, show the number. This is my biggest issue with the app. Especially as storms approach land, they can upgrade or downgrade at a moments notice. I want to be able to check in the wee hours of the night and right away see what category the storm is. It’s really hard to find that info in this app. You have to either read a big document and try and weed through all the meteorology jargon to find it. Add a tracking graph that the user can move a stark back in time or forward in time based on the most projected path. Kittycode’s hurricane tracker app had this and I loved it. It even changed the category label as the storm was expected to downgrade as it moved over land. 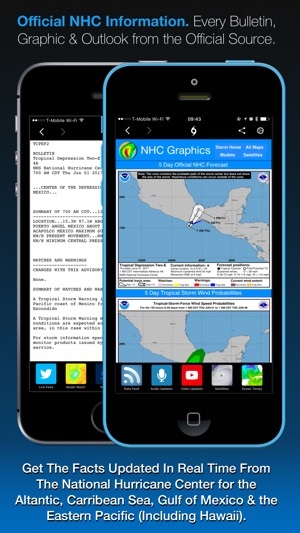 Download kittycode hurricane tracker and look at some historical storms. You’ll be able to see how this feature works. Unfortunately the kittycode app retired after last season and I found this app instead. Overall, it’s still a very good app and has a ton of info. The spaghetti models section is actually better than the other app, but some user experience misses make it less than 5 stars for me.